See a site we missed or want your site added to our list? Send us an email here and we’ll add it! It’s always fun to see what the White House has to say about marijuana! 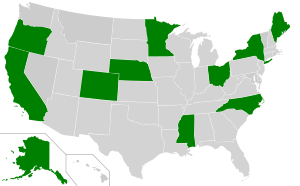 This site has information about the Medical Marijuana Program (“MMP”). The program formed quickly and offered instructional and helped on getting a MMP identification card. For the issuance registry program for qualified patients, and their caregivers, find information at the website. This site has useful information about medical marijuana in California. Great references with A-Z links are informational. Everything you need to know about MMJ is listed under this website. The National Organization for the Reform of Marijuana Laws (“Norml”) is a California informational website and is “Dedicated to Reforming California’s Marijuana Laws.” This site focuses on every detail of marijuana, i.e., the Collectives Patient’s Law Guide to how to grow. Everything about this site is MMJ directed. This website is run by lawyers. They are known as the Law Enforcement Against Prohibition (“LEAP”). LEAP also an international 501(c) 3 non-profit organization where attorneys help criminals to justice. They are professionals. The harms of current drug policies is there at a glance. Everything you can imagine about the laws, etc. and more. Americans for Safe Access is the largest organization of patients, medical professionals, scientists and concerned citizens promoting safe and legal access to cannabis. We engage a multifaceted strategy of public education, impact litigation, grassroots development and advocacy, media campaigns, and direct support services. A directory of medical marijuana dispensaries that uses the Google maps to pinpoint and display a location nearest you. MMJ Dispensaries, guides MMJ Newsletter are available at the SF Weekly website. Lots of local knowledge and dispensaries are explored. There is an excellent Marijuana Dispensaries Directory for your perusal. This is a well-known magazine now, of course, a website too. There is lots of information on the subject of marijuana. Everything is interesting! One can find what they need to know at their fingertips. 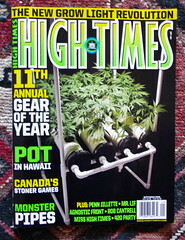 “High Times” enjoys many followers. Become a member today to keep current on everything green. This is a chat forum, which automatically puts you into the pipeline with others. From there you are connected to the Northern or Souther California section where you can discuss with other medical marijuana patients your concerns. Discus local events, news, and any other activities marijuana related. This is an online magazine devoted to the cannabis culture. Highlighted is November 5, 1996 when Californians voted on Proposition 215. Through this Initiative the Health & Safety Code was added and is also known as The Compassionate Use Act of 1996. We review collectives based on location, establishment, staff, and especially the quality of medication. The best collectives, in our humble opinion, are ones that abide by the ideals of compassion while providing quality medicine. TruLite Industries, LLC is a technology firm focused on developing the most advanced and efficient horticultural products available. After 2 years of research, TruLite LED, the lighting arm of the company, has released a line of LED grow lights that are designed with large scale, commercial growers in mind as well as individuals. Don’t let the clean image of the site fool you – they fully support legal cannabis growers and are very knowledgeable in that area. This list was updated on April 2, 2013. We will continue updating the list with the best medical marijuana resources available. If you would like to recommend a link please contact us here.